Dedicated Server Hosting is also well-known as managed dedicated server hosting these days, or simply as dedicated server, or as dedicated hosting service. It is a web hosting package where the customer rents a complete web hosting server to host websites belonging to his or her company, or for a professional use. Unlike the VPS or the shared web hosting packages where a web server is chiefly shared between more clients, the dedicated server is exclusively leased to a single customer, or is rented by a single customer, or is even purchased by a single customer, and none of the server’s resources are shared with any other clients. As an exception to this exclusive usage of the dedicated server “rule”, the dedicated server is further used as a shared hosting server by that customer or as a VPS as in web reseller hosting business. The dedicated servers can be further divided as three major types: the managed dedicated servers, unmanaged dedicated servers, and the third type is the semi-dedicated servers. The dedicated server is rented by a single client or company. This gives the company the complete control of the dedicated server, and also makes the server very secure, stable, powerful, extremely reliable web hosting server. In dedicated server hosting, the web host provides the web infrastructure, and the maintenance and care of the dedicated server. With thus, the client only pays for the usage of the server, thus saving a lot of money and expenses on infrastructure, hiring experts, and continuous maintenance and monitoring of server, data center, and its equipments. Even the hardware equipments’ maintenance and replacement is taken care by the web hosting service provider. The main issues with using dedicated server hosting is the very high cost and the needed knowledge of using it competently. If your dedicated server faces any type of technical or equipment problems, then there can be additional hourly- or per instance-basis fees to be paid to the host. You will need to take all such expenses into consideration and be sure to ask the web host about such additional expenses in advance while opting for a dedicated server hosting package. If you opt for the managed dedicated server hosting package, then the web host will either help you maintain the server fully or partially and at various levels as per the hosting company’s terms and conditions. So understand those Terms about the dedicated server’s support terms in advance, as these terms usually differ from web host to web host. All the critical software updates, for example, the security-related, the control panel related, and the operating system-related issues are resolved by the dedicated server hosting provider. 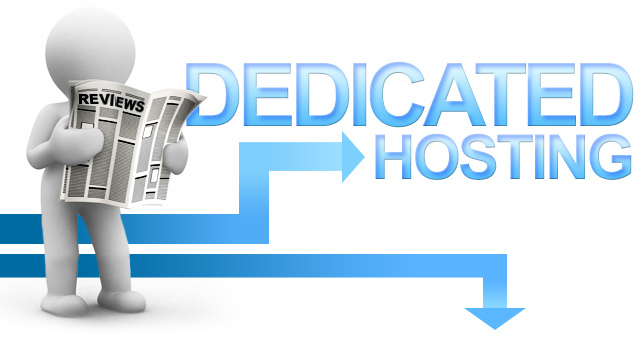 Most of the problems regarding the dedicated server are also taken care by the host. Before opting for a managed dedicated server hosting package, be sure to understand how much support the web host will be providing you. The managed dedicated servers cost more than the unmanaged dedicated servers. Also, there can be some limitations imposed on you, for instance, you may not have admin or root level access, if you opt for a managed dedicated server hosting package. The client is responsible for all the dedicated server’s maintenance and operational issues. The web host may help you, but he would charge additional fees to do so. The web host is responsible for any hardware related problems or for the replacement of hardware and equipment. The client is in total control of the dedicated server under this plan. If the client has well-trained staff or he can manage the dedicated server on his own, then he will be able to save a lot of money by opting for the unmanaged dedicated server hosting package. The web host’s help is extremely limited, and he may impose additional fees if any tasks require his or his support team. These fees can be very high if there is extensive support to be given by him. Hence, it is wise to understand every aspect of a dedicated server hosting package, as these issues are never mentioned in-details on the web hosting service provider’s sales pages. But, the dedicated servers are extremely powerful web platforms and are ideal to how professional and commercial websites.